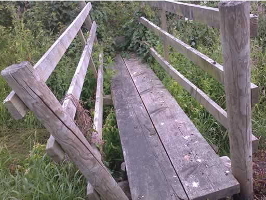 Broken Bridge on Halsall FP12 (near Green Kettle House). 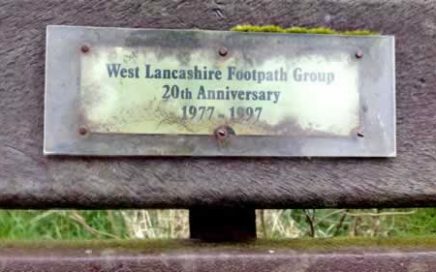 Anniversary sign at Devil’s Wall, Gaw Hill (courtesy of Maurice George). 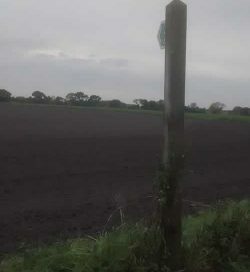 From A5147 (Halsall to Downholland) to Rosemary Lane. 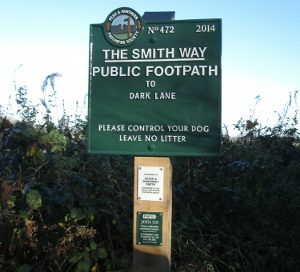 No footpath sign where the path leaves the road. 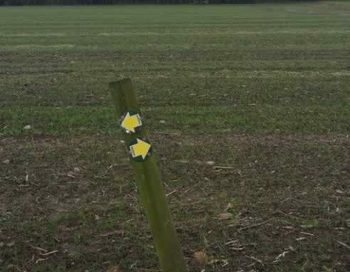 This ploughed field is an example of failure to reinstate within 14 days. 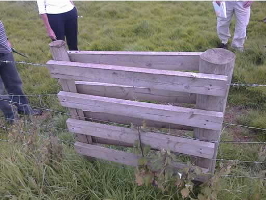 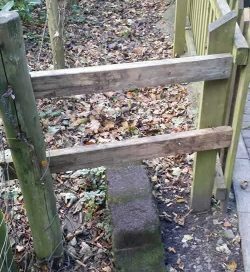 This stile does not meet British standard as the step should not exceed 12 inches. 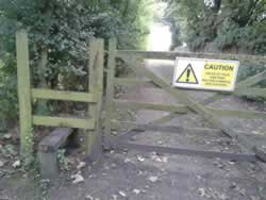 On the OS Explorer Map 285 there is a right of way shown from Rye Moss Lane to Hilton’s Farm. 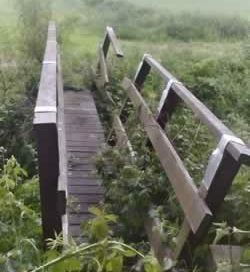 There is a broken bridge on the path.